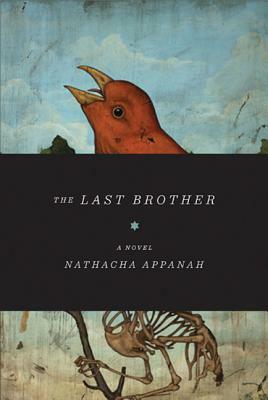 In The Last Brother by Nathacha Appanah, 1944 is coming to a close and nine-year-old Raj is unaware of the war devastating the rest of the world. He lives in Mauritius, a remote island in the Indian Ocean, where survival is a daily struggle for his family. When a brutal beating lands Raj in the hospital of the prison camp where his father is a guard, he meets a mysterious boy his own age. David is a refugee, one of a group of Jewish exiles whose harrowing journey took them from Nazi occupied Europe to Palestine, where they were refused entry and sent on to indefinite detainment in Mauritius. A massive storm on the island leads to a breach of security at the camp, and David escapes, with Raj's help. After a few days spent hiding from Raj's cruel father, the two young boys flee into the forest. Danger, hunger, and malaria turn what at first seems like an adventure to Raj into an increasingly desperate mission.